Margin loans are a popular way for people to access funds to meet a variety of financial needs, including covering costs related to real estate transactions. They can also be used to make large purchases or business acquisitions, pay for home renovations, or for securing short-term liquidity to handle unexpected expenses. While margin loans have multiple advantages, they come with potential drawbacks—several of which may be intensified in our current economic environment. Here we’ll look at why investors choose margin loans and illustrate several of the under-appreciated risks. We’ll also explore a potential solution: refinancing into a loan backed by commercial real estate (CRE). Margin loans are collateralized by securities in the borrower’s brokerage account Many brokerage firms allow investors to borrow up to 50-70% of the total value of eligible securities. People are attracted to the speed and convenience of margin loans. They can often be accessed quickly after a margin account is approved, without any extra forms or application fees. Interest rates are typically competitive when compared to credit cards or other unsecured loans. Additionally, many borrowers are drawn to the flexible repayment terms: as long as the required level of equity is maintained in the account, people can pay back margin loans on their own schedule—there’s no specific term in which the loan is due. Borrowing on margin is not without risk. Two risks in particular are especially prominent in our current economic environment: interest rate and margin call risk. First, margin loan interest rates are generally variable, equaling a base rate plus a spread. Base rates are commonly linked to short-term interest rates and are typically subject to change frequently and without notice. As the U.S. economy continues to improve, rates are coming off historically low levels. The Federal Reserve has hiked its benchmark rate seven times since its post-crisis cycle began in December 2015. On September 26th of 2018, the Federal Reserve approved its third rate increase this year, increasing the short-term interest rate to a range of 2 to 2.25 percent. Many expect a steeper path of future rate hikes. Such quickly rising rates would make margin loans increasingly more expensive. Second, the value of the collateral which backs margin loans can fluctuate. If the value of the collateral falls such that the loan is greater than the permitted loan-to-value maximum, then the borrower will face a margin call. This would require the borrower to immediately deposit more marginable securities or cash into the account or liquidate existing positions to generate cash. Brokerage firms have full discretion over when borrowers are required to increase the equity in their margin accounts, which means they can take immediate action by selling securities to satisfy equity requirements. Brokerage firms can also increase their equity requirements at any time, and are known to do so particularly during periods of heightened market volatility. Margin calls may not have presented much concern for investors who were benefiting from the record-setting bull market in U.S. equities and recent all-time highs in major U.S. indexes. But how many more miles can the aging bull run? A growing chorus of financial experts is calling attention to the looming danger of a major correction in the stock market, and also noting that the risk is becoming increasingly imminent. For margin borrowers, falling stock prices would trigger margin calls which would likely force them to sell stocks at discounted prices in a volatile, tumbling market. For many high-wealth owners of CRE, refinancing a margin loan into a longer-term loan backed by CRE may be an attractive solution to managing the risks of margin loans. Refinancing comes with several unique benefits, including the elimination of stress and potential losses generated by margin calls. Additionally, CRE loans are typically offered with a fixed interest-rate structure, allowing borrowers to lock in a competitive rate for the life of the loan. Lastly, interest on the new loan may be tax deductible against income from CRE. If you want to learn more about refinancing margin loans, PLUM can help. 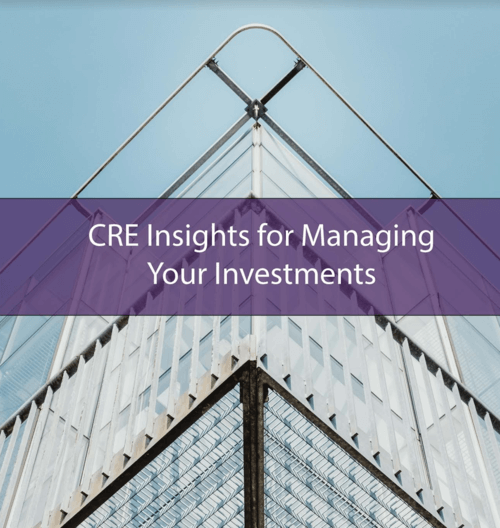 We are a knowledge-based CRE lender that combines data intelligence with deep industry expertise and an ecosystem of capital sources to help property owners increase their wealth.